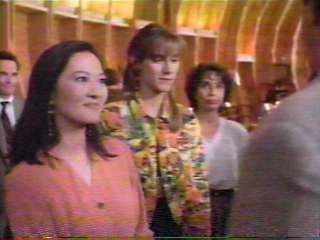 In "California," the last episode of thirtysomething, Rosalind Chao appeared briefly as Willa Campton, who works at Chiat/Day, the ad agency that wants to hire Michael. She mentions that she used to work at Winant Scott. 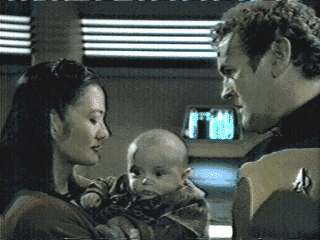 First on Star Trek-The Next Generation and then on Star Trek-Deep Space Nine, Rosalind Chao had a recurring role as Keiko Ishikawa O'Brien, wife of Chief Engineer Miles O'Brien (Colm Meaney) and the station's school teacher. 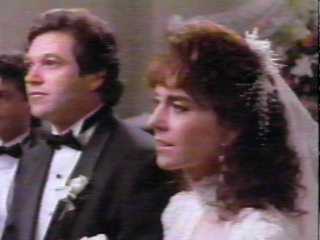 On thirtysomething Erich Anderson played Billy Sidel, who married Elyn Warren despite her established willingness to commit adultery and her wedding-day question: "Do I know you?" Nice catch, Billy. 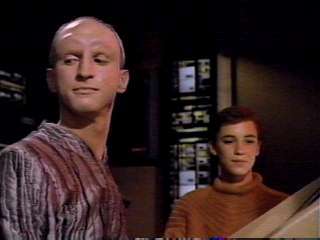 In "Conundrum," a 5th-season episode of Star Trek-The Next Generation, Anderson played an alien who manipulated the memories of the crew so they would accept him as Commander Keiran MacDuff. 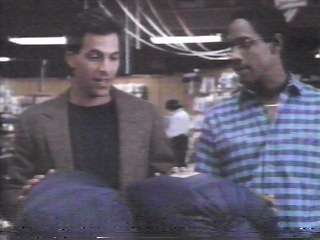 Tim Russ had a small role as the guy who sells Michael a sleeping bag in the first episode of thirtysomething. 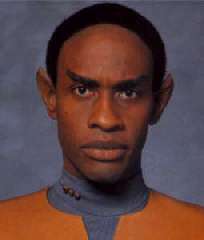 After appearing in the movie Star Trek VI and an episode of Star Trek-The Next Generation, Russ landed a regular role as Tuvok for the entire seven-year run of Star Trek-Voyager. 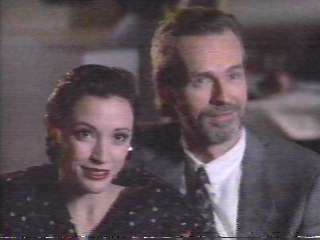 In the "Success" episode of thirtysomething, Nana Visitor's character was introduced as Mile's fiancee Cindy. We never saw her again and the continuity people neglected to explain her departure. 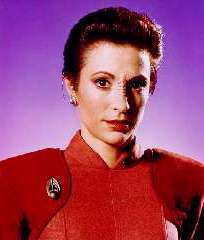 Nana Visitor played Major Kira for the entire seven-year run of Star Trek-Deep Space Nine. On thirtysomething Timothy Carhart played Matt Enwright, a solid guy who owned several hardware stores and wanted to replace Eliott as Nancy's husband. 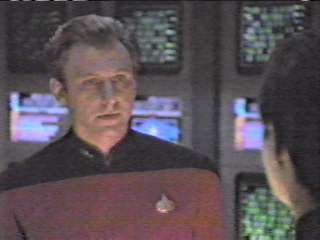 Timothy Carhart played Lieutenant Commander Christopher Hobson, who resented being commanded by an artificial life form (Brent Spiner as Data) in the "Redemption" episode of Star Trek-The Next Generation. 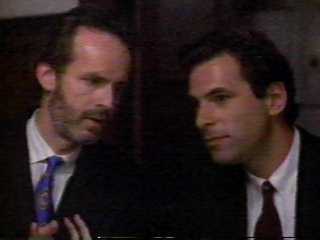 David Clennon appeared often as Miles Drentell, Michael Steadman's boss at DAA, a successful advertising firm. He was a popular character, whom many saw as purely evil and others saw as more complex. Bedford Falls brought back Clennon as Miles Drentell in 2000 in their show "Once and Again." This time DAA wasn't mentioned and Drentell was head of a company called Atlantor, which practiced an unspecified business. 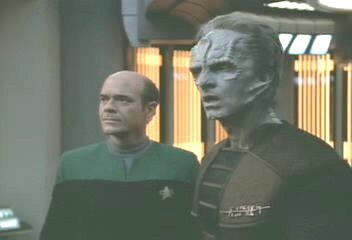 In Star Trek Voyager's fifth-season episode "Nothing Human," Chief Engineer Torres is stricken by a bizarre, injured alien that latches itself onto her body. The Doctor creates another holographic physician, modeled on a Cardassian exobiologist named Dr. Crell Moset (David Clennon), to save her life. But Torres refuses treatment when it's learned that the real Moset engaged in unethical wartime medical practices (sounds sort of Miles-like). 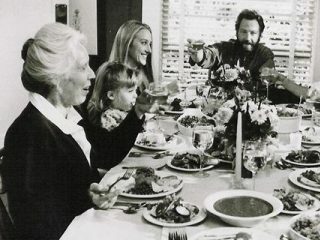 Georgann Johnson played Aileen Shepherd, mother of Gary Shepherd (Peter Horton), in the third-season thirtysomething episode "New Parents." In Star Trek - The Next Generation's second-season episode "The Emissary," Georgann Johnson played Admiral Gromek, who transmitted secret orders to the Enterprise-D to rendezvous with special Federation emissary K'Ehleyr. George Coe appeared in two thirtysomething episodes, "Parents Are Coming" (1987), and "Arizona" (1990), as Hope Murdoch Steadman's father Ted Murdoch. 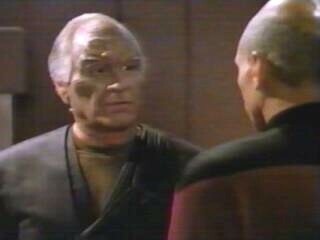 In Star Trek - The Next Generation's 1991 fourth-season episode "First Contact," (no connection to the Trek movie of the same name that would come later), George Coe portrayed Chancellor Avel Durken of Malcor III, a world whose inhabitants believed they were alone in the universe until Commander Will Riker is discovered posing as one of them. Capt. 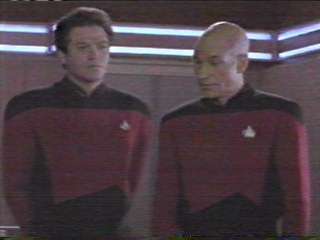 Jean Luc Picard (Patrick Stewart) convinces Durken of the Federation's good intentions. 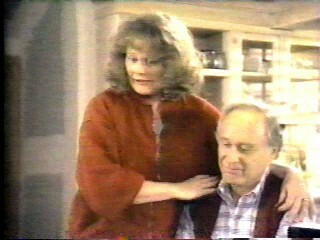 Elizabeth Hoffman appeared portrayed Nancy Krieger Weston's mom Eleanor Krieger in four thirtysomething episodes: "Post-Op" and "Another Country" in 1990, and "Pilgrims" (pictured) and "Nancy's Mom" in 1989. 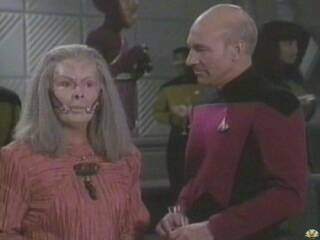 In Star Trek - The Next Generation's 1989 third-season episode "The Price," Elizabeth Hoffman portrayed Bhavani, Premier of the Barzan people, who have discovered the only known stable wormhole, and are willing to sell it...for the right price. Dana Sparks played Sylvia Davenport, Miles' date at the Steadmans' dinner party in the third-season ep "Legacy." She didn't do well with Hope. In Star Trek The Next Generation's 1989 episode Contagion, Dana Sparks played Tactical Officer Williams, who served at Worf's station on the bridge while he was part of an away team. On Star Trek-The Next Generation, Menyuk played a mysterious and powerful character called "the Traveler" in three episodes, in seasons 1, 4 & 7.